The epitome of retro chic is right here in the stunning Elwood sofa. This striking sofa is right on trend with smooth, clean lines, squared back and seat cushions and stylish slim arms. The Elwood takes inspiration from 1960’s designs and features beautiful blind buttoning detailing across the back and seat; giving the Elwood sofa a distinctive retro look. The Elwood looks magnificent upholstered in our beautiful Dunbar Black leather, giving it a modern edge. The epitome of retro chic is right here in the stunning Elwood sofa. This striking sofa is right on trend with smooth, clean lines, squared back and seat cushions and stylish slim arms. The Elwood takes inspiration from 1960’s designs and features beautiful blind buttoning detailing across the back and seat; giving the Elwood sofa a distinctive retro look. 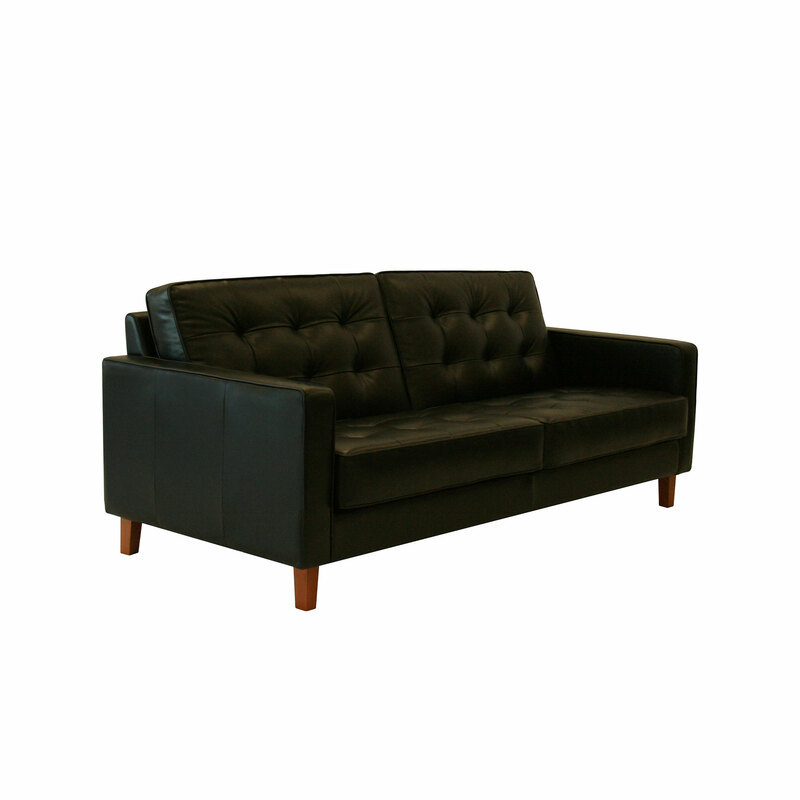 The Elwood looks magnificent upholstered in our beautiful Dunbar Black leather, giving it a modern edge. Upholster the Elwood in a bold, brightly coloured fabric and it will take you back to the swinging 60’s. The Elwood is designed in Australia, ensuring that the best aspects of Moran’s unique, luxury style are applied to new designs, staying relevant to local design influences and the modern Australian way of living. Bespoke manufacturing ensures each Moran piece made can achieve a luxurious level of comfort and attention to detailing, that often falls short with widely adopted mass production methods. The Elwood sofa features a kiln-dried, close-grain hardwood timber frame, providing the underlying quality framework needed for lasting structural integrity. 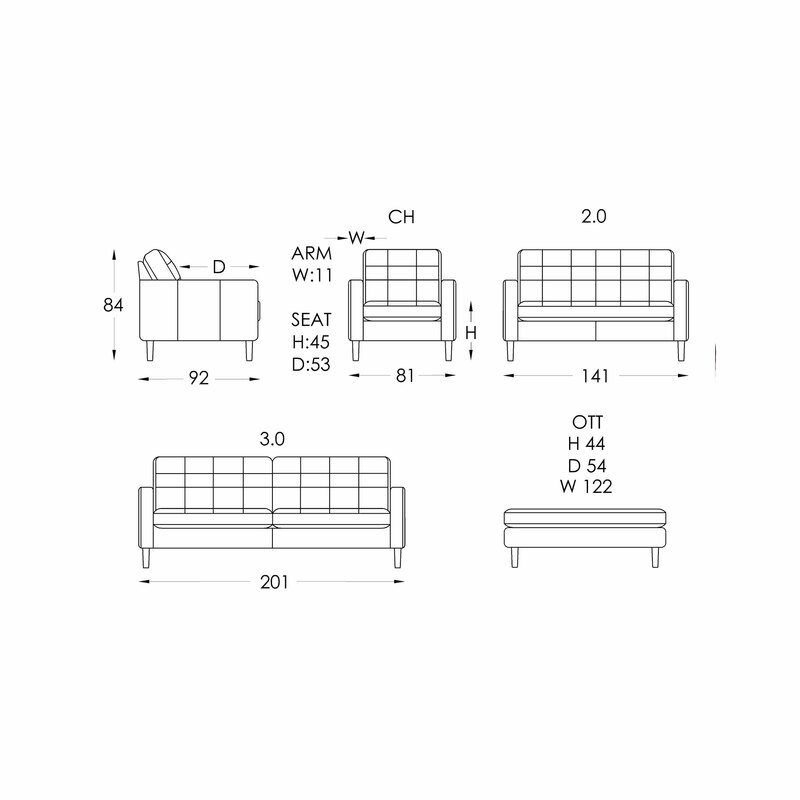 Tempered Steel Sprung Structural Support ensures body correct support and the ultimate experience in long-lasting relaxation, while Spring Cell Seat Cushion Inserts add extra comfort and extend cushion performance, offering an additional layer of individualised support.